I love a Mexican town that is still rough around the edges. The first time I visited Mazatlan, I had no idea what the future had in store for me in this hypnotic city. There is something seductive about Mazatlan. It has an intoxicating, authentic essence. Elegantly unpolished, the multicolored city sits on a ring of warmly glowing golden-colored sand that contrasts against the fierce, cobalt Sea of Cortez. I love it because it offers something few other destinations in Mexico can: the charm and history of colonial Mexico combined with the country's iconic beach life. Strolling the cobblestone streets of downtown is evocative of Old Havana, especially along the broad Malecon, or historic Santo Domingo in the Dominican Republic. Colonial Mazatlan has seen the influence of Spain, France and even Asia, thanks to the city's mercantile history. It’s a spread-out city. To get from one end to the other takes around 30 minutes, and longer when there is traffic. Mazatlan is still growing into its skin as it continues to invest and grow. After a few sleepy years with dampened tourism, due to drug violence in the area, the city has been deemed safe once again and hotels, investment, and cruises are starting to pour back in. For now it’s still thoroughly authentic, with people who are fiercely proud to call it home. Many of these people have become my dear friends today. For me, the city has meant many things. I’ve had my heart won back there, when my hard-to-shake love took the six-hour motorcycle trip up from Puerto Vallarta to surprise me. Six months later I was back there, staring at the same sea, heart shattered as I admitted defeat that we would not be able, then, to shake the cycle of pain that we kept throwing ourselves into. It’s a hard lesson to learn that a city cannot hurt you, but can serve as a reminder for what was once and then no longer could be. No one knows the future, though. It’s been six months since then and I don’t know what Mazatlan I will return to. 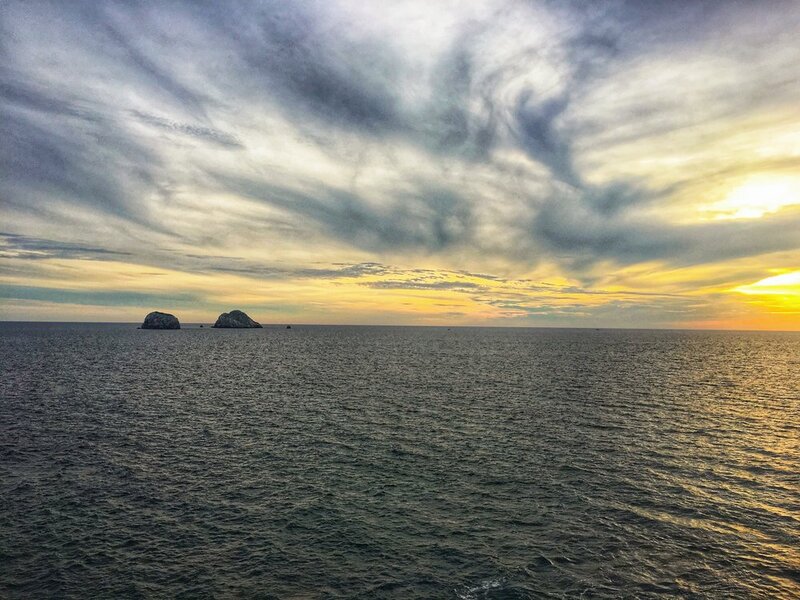 But I do know that no matter where I have been in my life, Mazatlan remains a place of deep feeling and of memories that cut deep, and that’s really all you can ask for every time you hit the road.